Penal Code 215 pc – California’s carjacking law is defined as the felonious taking of a motor vehicle in the possession of another, against his or her will and with the intent to either permanently or temporarily deprive the person in possession of the motor vehicle of his or her possession, accomplished by means of force or fear. Below our criminal defense attorneys explain the elements, defenses & penalties for this law. How Does The Prosecutor Prove Carjacking Charges? California’s “carjacking” laws are articulated under Penal Code section 215. Below are the elements of how the law is applied with defenses and penalties for this crime. A man walked up to a car that was temporarily parked in the loading zone. A female driver was in the driver seat, waiting for her husband to come back from the post office. The man got into the front passenger seat and held up a gun, pointing it at the driver. He told her to get out of the car or he will shoot her. The man has committed a carjacking. 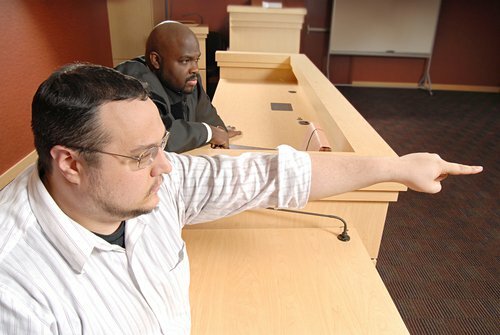 How Does The Prosecutor Prove Carjacking? Mary went inside a 7-Eleven store and parked her car upfront. While she was inside the store, a man broke into her car and tried to drive it away. Mary ran out of the store and started screaming to the man to get out of the car. The man rolled down the window and told her to go back inside the store or he will be forced to use his gun. Mary went back inside to call the police while the man drove away her car. In this situation, although Mary was not actually inside the car, the car was within her “immediate presence” because it was sufficiently within her physical control because she had the car keys and was close enough to the car that she could immediately stop the carjacking if it was not for the force or fear used by the defendant to prevent her from doing so. 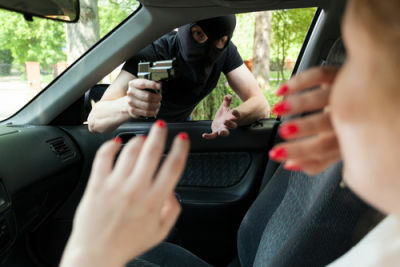 How Can You Fight Carjacking Charges? The defendant’s intent to take the vehicle must have been formed before or during the time he/she used force or fear to take away the car. If the defendant did not form this required intent until after using the force or fear, then he/she did not commit carjacking. If you did not use force or fear to take away a car from another person, you cannot be charged with this offense. Jason was watching TV at home when he heard the familiar sound of his car engine starting. He looked out the window and saw another man driving away his car. He immediately called the police. If you were falsely accused of committing a carjacking, you need a good attorney who can find any inconsistencies in the evidence to show that you were not the perpetrator of the crime. Under California Penal Code §12022.7, California’s great bodily injury enhancement, if a false imprisonment of a hostage results in a great bodily injury to the hostage, the defendant’s sentence may be enhanced by up to three to six years. Because a carjacking conviction is a serious felony offense, it will result in a “strike” on the defendant’s criminal record under California’s Three Strikes law. If charged with a third felony, and the defendant already has two prior strikes on the record, the defendant will be treated as a third striker and will serve a minimum sentence of 25 years-to-life in state prison. Grand Theft Automobile: Grand Theft Automobile under Penal Code 487(d) involves the taking away of another person’s automobile10. Vehicle Code 10851 California’s Unlawful taking or driving of a vehicle law is when a defendant unlawfully takes a car that does not belong to him/her. It is different from carjacking because it does not require that the defendant use force or fear to take the car away11. Kidnapping During the Commission of Carjacking: Kidnapping During the Commission of Carjacking applies when the kidnapping occurs during the commission of a “carjacking” and in order to facilitate the commission of the “carjacking,” and involves the kidnapping of a person who is not a principal in the commission of the carjacking, such kidnapping is punishable by imprisonment in the state prison for life with the possibility of parole12. If you would like more answers to questions you may have about carjacking or you would like to speak to an attorney confidentially contact our office at 818-351-9555 for a free consultation.